My favorite part of my job is getting to talk with trail users about the D&L Trail. 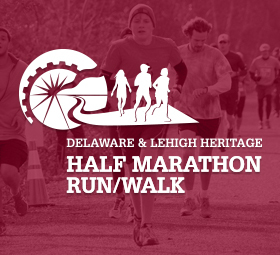 It’s an amazing trail that has great places to walk, run, or bike on with great natural scenery, historic sites, unique towns, and great shops. When I’m on the trail people will ask me for directions. When I’m in the office I get calls from people near and far asking about places to ride and shops to visit. 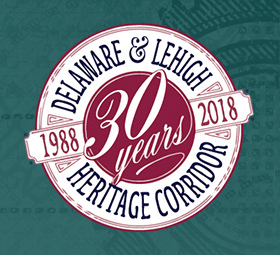 I’m happy to answer these questions and tell people about the D&L Trail… but I was thinking, there has to be a more effective way to share my trail knowledge with others. Well as they say, there is an app for that! 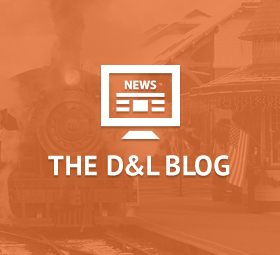 The D&L collaborated with Ride with GPS to create custom ride guides for D&L Trail. These ride guides will highlight some of the best rides and routes along the D&L Trail. 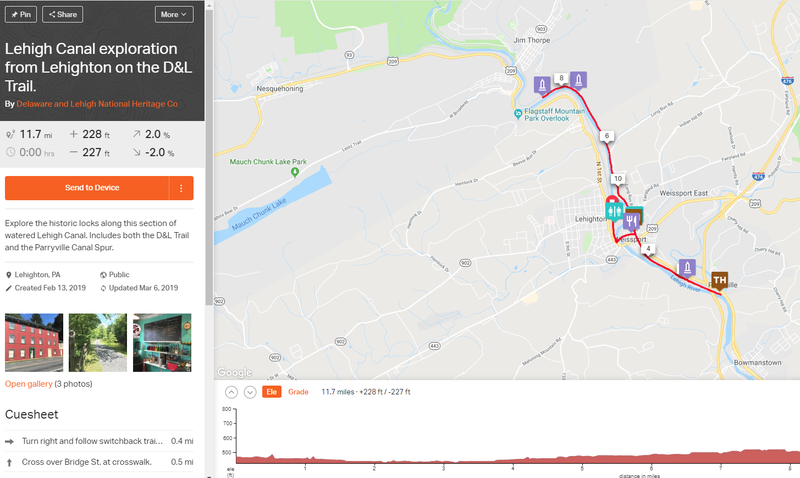 They will provide custom turn by turn navigation, show trail user amenities (like bathrooms, water, and trailheads), and and highlight our D&L Trail Friendly Businesses that we recommend you visit. We will also highlight some of the unique historic sites that exist along the trail. These are free guides that anyone can use the Ride with GPS app on their smartphone or download the route to a GPS or bike computer. 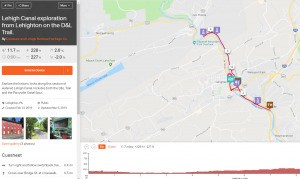 These ride guides will start to roll out in April, but here is a sneak peak at one from Lehighton along the watered section of the Lehigh Canal. This is a good example about how mapping the route can help more people discover the Parryville Canal Spur, a hidden gem that many people get confused trying to find. Plus Weissport and Lehighton have some great local businesses to visit.